Is Canada Destined to Be Ruled by the Same Two Political Parties? 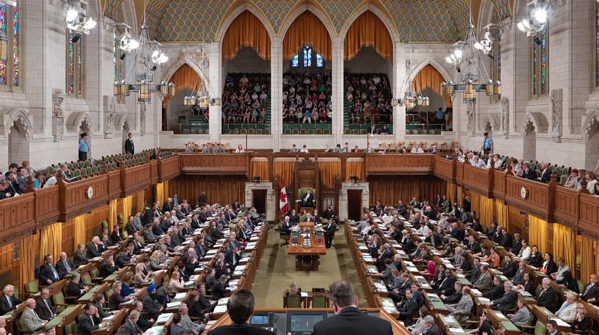 Since the establishment of the confederation in 1867, both the “Conservatives” and the “Liberals” have exchanged posts continuously until our modern days as the Federal ruling parties in Ottawa, our nation’s capital. The Two political parties have dominated politics in Canada: the Liberal Party and the historic Conservative party (known as the Progressive Conservative Party from 1943 to 2003). If the modern Conservative Party is considered as the successor to the historic one, then these are the only two parties to have formed a government. Canadians throughout the years have been convinced that they have only one choice to choose between either of these two “traditional political parties” .This particular “doctrine” has ruled out any opportunity for other political parties the chance of ruling the state in any way. The mere fact that Federal policy has been mainly subject to the sway of either the Liberals or the Conservatives has not stopped from forming “hopefuls political parties” that have been promoting themselves as the alternative choice for Canadian voters. One can say that throughout most of history’s elections, these “hopefuls political parties” have played very minimal role at the ballots when it comes to the decision-making day. Election campaign after the other, these parties assumed maximum efforts to convince the electorates that they can select an alternative political group to rule the nation with different social and economical platforms and directions. However, time after time, Canadians stuck to the tradition of choosing one of the two dominant political orientations, Liberals or Conservatives. The rule of the game stayed for decades without any change, turning roles, one time Liberals form the government and Conservatives act as the official opposition, or vice versa! Until, the Federal election of 2011, the year the NDP made history by gaining 102 seats at Parliament Hill and occupied the post of the official opposition for the first time since it was born in 1961 and Tommy Douglas, Premier of Saskatchewan at that time, was elected its first leader. The real change in the political scene was not limited to the NDP’s major win only, but, in addition to that, the reality that one of the “traditional Parties”, the Liberal Party of Canada back warded as second opposition role on the floor for the first time in its history too. It should be noted that the Party’s establishment was on July 1st 1867 similar to the date of birth of the Canadian Confederation. The NDP success waves in 2011 led to another deep upheaval in Quebec’s political map. With the NDP winning 56 seats in Quebec, they nearly wiped out the Bloc Québécois from the political scene. The Bloc Québécois is a federal political party that considers itself as the protector of Quebec‘s interests in the House of Commons of Canada, and the promoter of the Province’s sovereignty. Despite the total contradiction in the main political concepts between the two parties, the NDP as Federalists, and the Bloc Québécois as sovereignists, the Orange Party was able to break the odds in Quebec in addition to its achievement at the Federal level. Another strong sign that Canadians could be ready to do the change in their choices of who may represent them as their elected officials came from Alberta on May 5 2015. Albertans casted their ballots with a complete mind shift, from the conservative-based political power to a social democratic one. The fact that Albertans kept choosing conservative economical platforms for 44 years, and in one night rebelled over their tradition came as big surprise to all Canadians. Alberta’s NDP win is a major upset, considering the PC party had won 12 consecutive majorities and the NDP held only four seats when the election was called on April 7. In this election, the PC in Alberta was not even able to hold on the official opposition status that was taken by The Wildrose, provincial political party in Alberta. The party was formed out of the Alberta Alliance Party in early 2008 following its merger with the unregistered Wildrose Party of Alberta. Canadian voters may have shown, in recent years, at both the federal and the provincial levels, eagerness for a change in their options and choices to choose alternatives political platforms to administer their governments. Competition amongst a wide range of contenders for office from different political backgrounds to satisfy and to respond to their constituencies’ best interest is certainly a healthy element for all societies. At no time should any political party take for granted that it will be elected to public office irrespective of its performance and its efficiency. Canadian’s share of democracy, values and freedom of choice deserves first-class trustworthy politicians who are characterised with dignity, dedication, and commitment. 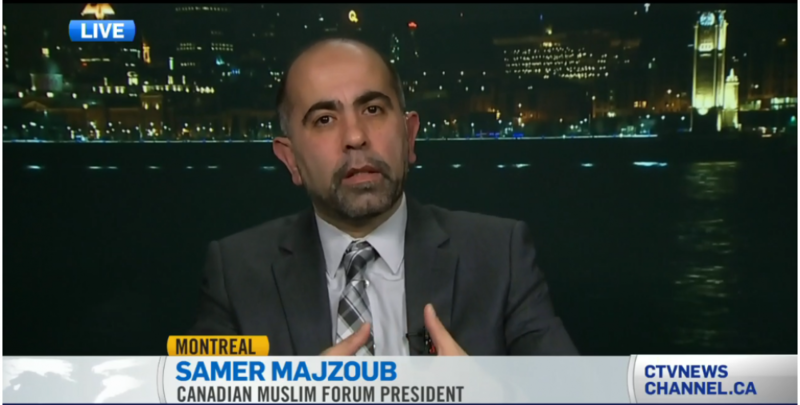 This entry was posted in article and tagged (FMC-CMF), Alberta elections, Canadian elections, Canadian Muslim Forum, Forum Musulman Canadien, huffingpost, Huffpost, Samer Majzoub by samermajzoub. Bookmark the permalink.